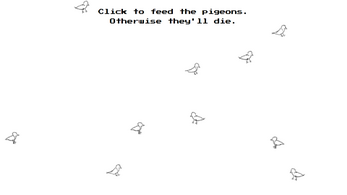 Your goal is to increase the pigeon population by feeding them. Watch out for homeless people, you must not feed them. 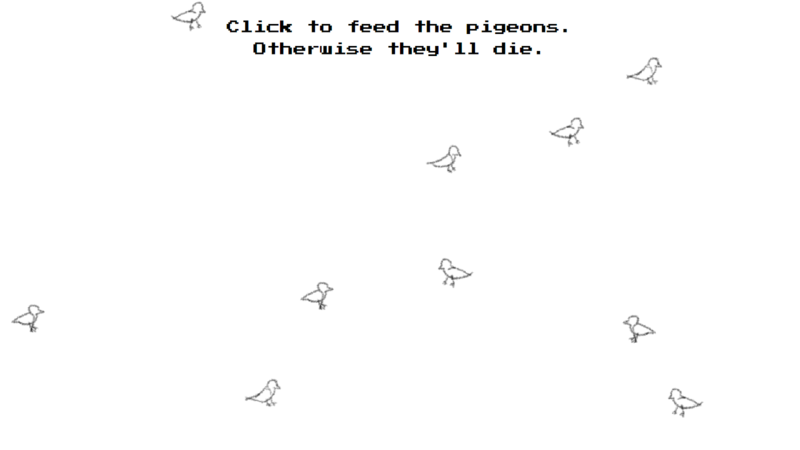 In fact, they will even try to eat pigeons. oh it's so sad :( great game !